Click here for many more giveaways!! 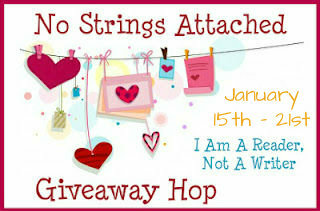 This is an ARC Giveaway!! These book are Advance Copies that may have errors and not have the pretty covers. The books can be shared but never ever sold!! When the ARC is sold, that is stealing. It is the same as when a book is pirated and placed online. The author and publisher suffer from these acts. I am using this giveaway to build awareness. and it is still a great post today. I trust that if you win one of these books you will not sell it! If I ever learn that one of these books has been sold I will stop hosting giveaways!! This book should have been on Best Reads of 2013!! You can read my review here along with a Guest Post from the author!! I went and reread your post. I agree. I donate all the books I win either to my local library or to the Friends of the Library book sale. If I win an ARC I will put it in the swap shed at the recycling center. Thank you for the reviews and giveaways that you work so hard on. I totally agree you. I agree. I would love to read these. Especially the thriller! Sounds awesome. I share my books within a friends circle. Thanks for the chance. Photothia at yahoo.com sorry I forgot to put that in my original post.lol.